When I set out to make this wreath, I wanted something that felt like fall without being made of leaves or of fall colors. 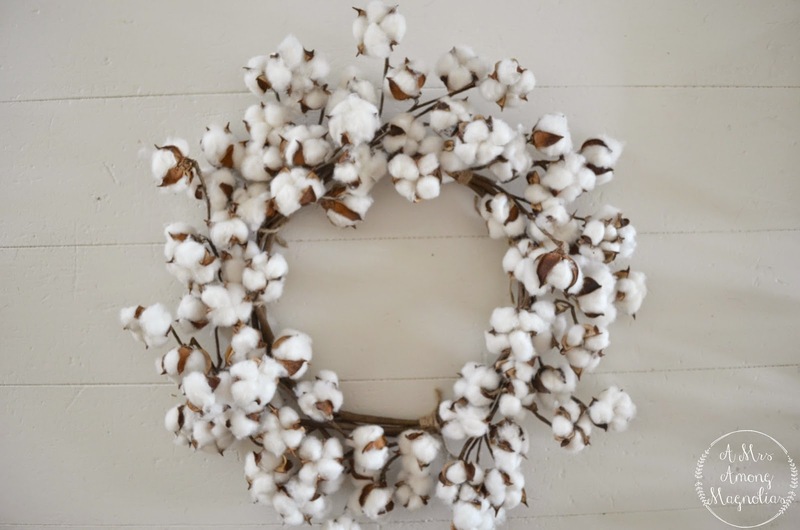 Then I thought about it and a cotton wreath was perfect. 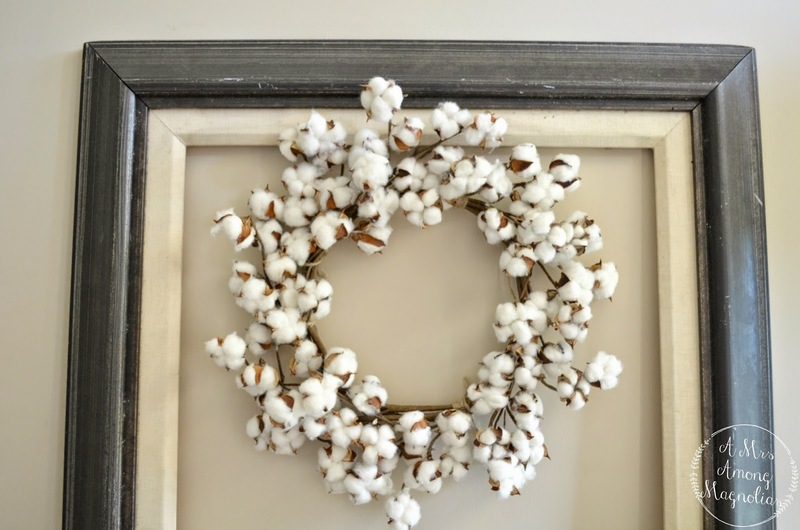 Cotton Wreaths can go for upwards of $60+, and I was not about to pay that! I made this wreath for about $25 total. See how I styled it this fall here. 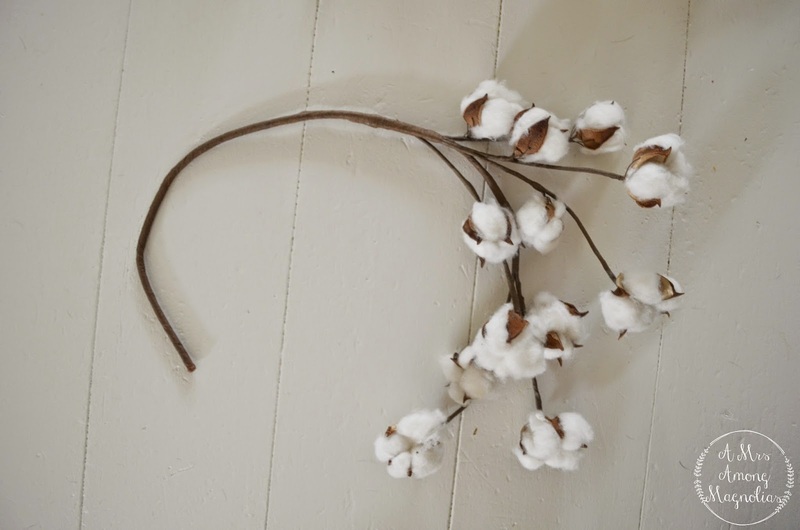 Choose the number of cotton stems based on how large in diameter and how full you want the wreath to be. 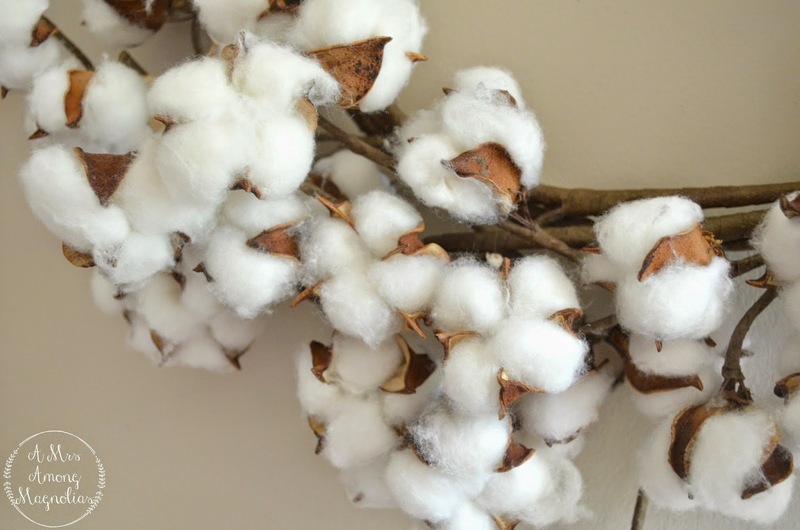 Here is the link for the cotton stems that I used, they are out of stock online but you should be able to find them at your local Michaels. I purchased a roll of twine from Lowes, it is a 190 feet for about $2.75. Grab you cotton and patience and lets get started! First you want to being by bending the stems, if you want a larger wreath bend it less. I bent mine close to a half circle. As you bend them lay them together in forming a circle. 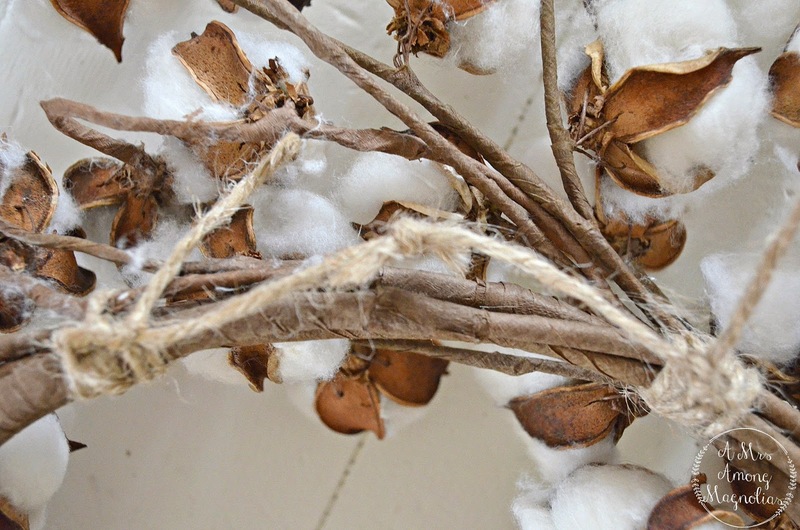 They don't have to be perfect, after you secure the stems together you can bend the cotton to fill in the gaps. Trust me, mine was tweaked a lot after I secured it. 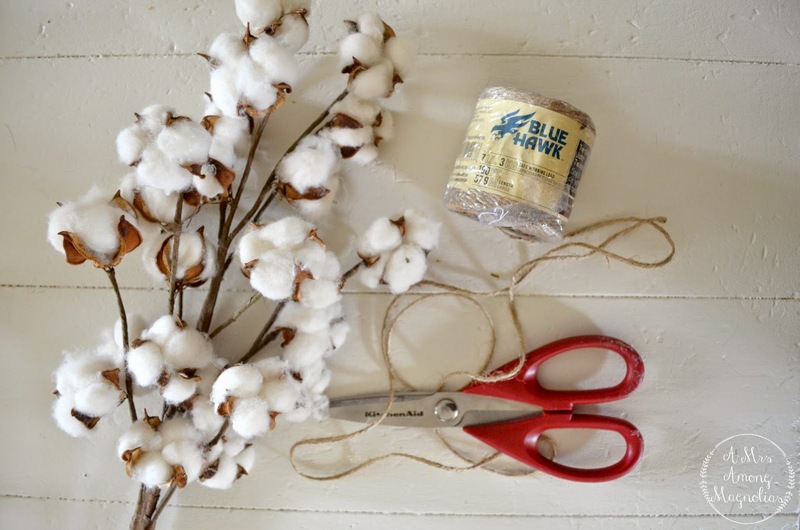 After you have all the cotton stems you want to use layout out, flip the wreath over and use the twine in about 4 different places to secure to stems together. In order to hang the wreath, I used a piece of twine between 2 of the sets to create a loop to hang the wreath on. 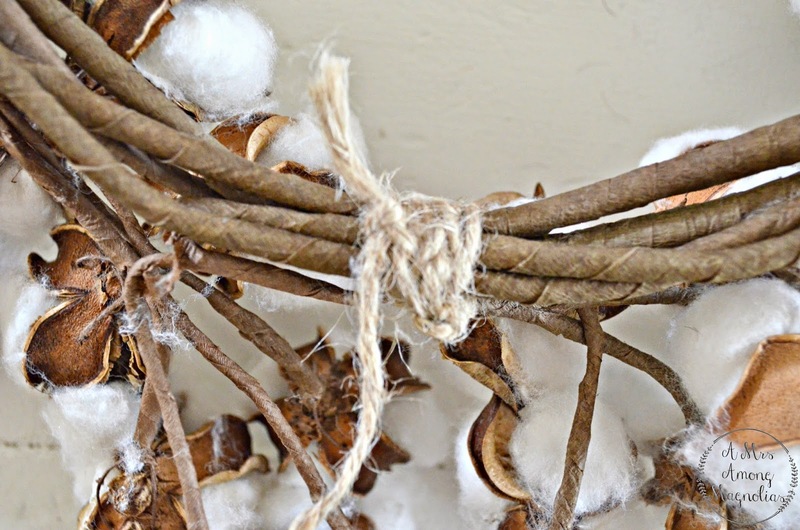 After you get the stems secured together, flip the wreath over and move/bend the cotton until you have a look that you like. This is where true patience came in. It look me about as long to adjust the cotton as it did to do everything else for the wreath. After you are done, hang it up! 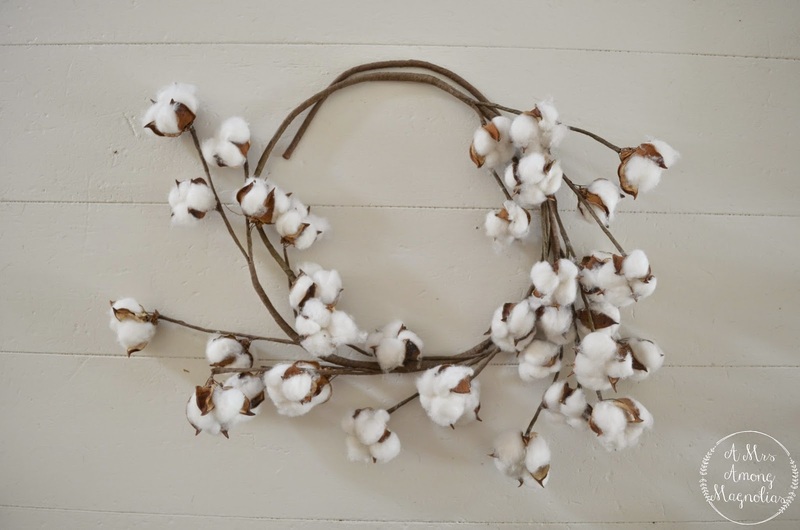 Now you have yourself a beautiful cotton wreath!! Love this wreath! So fun and different for fall. We hope to feature this in an upcoming round up of ours about Magnolia Market look-alike DIY projects. We would include a backlink and clear credit to you via the name of your blog. This is soooo pretty! I really like that you didn't use a wreath form like most cotton wreaths are made. This is unique, so natural looking, and more economical to make too. Thank you for sharing!